I've been having fun making stuff lately. Like this walnut table and a spice rack from oak. I was recently chatting with a friend about this thought.. Sure, we can probably survive having our basic needs fulfilled; food, water and some sleep for goodness sake.. but to live, we need a purpose. That special thing that inspires what I've had a deep, long and intense relationship with over the years called passion. I like to say a pursuit of passion. I've spent a very large part of my youth pursuing education, eight full-time years in college.. Throughout that time I wondered, discovered, learned and created over and over again. I also failed over and over again.. not just with school, but relationships, friends and to myself. I also worked hard, often times to the point of misery, and hoped and tried. But none the less, I was always pursuing something. Even if it was to make a screen-print or write a song. Or to get paid to design something. I'm trying to remember. Anyways, having purpose can inspire passion, and passion can make really special things happen. I built a desk and a hanging planter this last week! The desk-top is a raw edged cut of ash and the legs are steel piping finished with an aged copper. Feels great to use the hands. Welp.. The legend is true. As a student, my candle was constantly burning at four ends. Finally, after the long academic road has turned to a dirt path, all four wicks are still lit. Anyways.. I could write and write about this (and maybe I will soon) but my point is, my website has been totally neglected as I've been working on a great number of professional projects. There are so many I wish I could share, some that I may, and some other cool things I've been making for fun. Besides, who really cares anyways? No one reads this haha None the less! This website needs an update, and I want to find time to do it! I hate the feeling of my creative pursuits being snuffed out by the day to day. I need to take more photographs and write more. Here's to doing it! I've been playing with pedal building for the first time in quite a while. 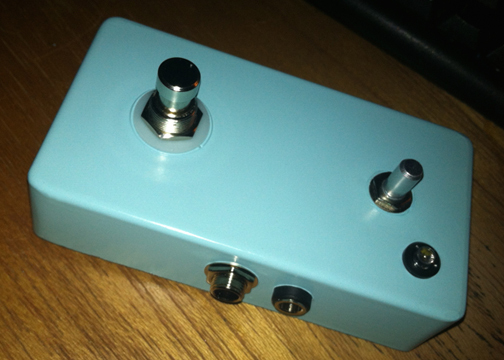 I threw together this single-knob fuzz pedal based off a really simple single transistor circuit. It was so fun I'm working on building a bigger and better pedal already! I'll post photos of that build in a few weeks. I just wanted to throw a new post up, despite this was during the Summer. 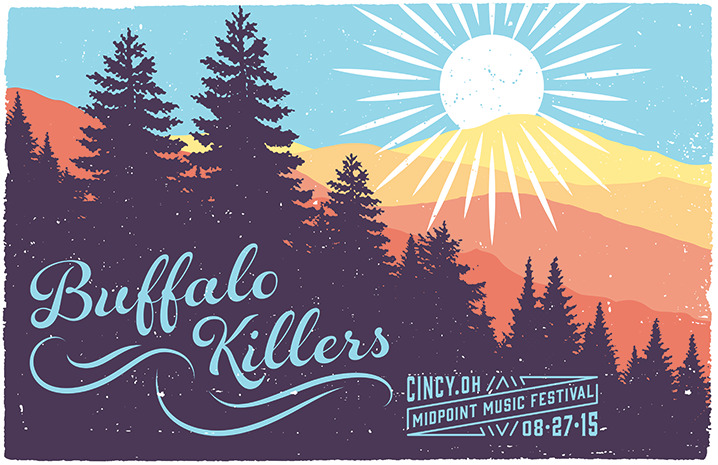 I made this SEVEN color screen-print for the rockin' Buffalo Killers show at this year's Midpoint Music Festival.